The global liner hanger systems market is expected to witness healthy pace during course of forecast from 2018 till 2028. The increasing investment in production, exploration and drilling activities and number of upstream project is likely to drive growth of the global liner hanger systems market. The oil producers such as OPEC and the United States is likely to drive growth of the liner hanger systems market in the coming years. The report provides comprehensive analysis of the global liner hanger systems market in the coming years. The segmental and regional analysis of this market is also provided in the research report. The major drivers and restraints of the global liner hanger systems market is also included. 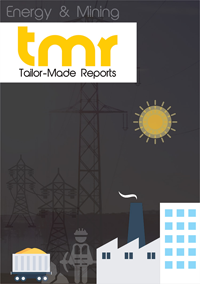 The report also provides competitive dynamics of the global linear hanger systems market. The increase in the number of active rigs across the globe is likely to boost growth of the linear hanger systems market across the globe. Increase in ultra-deep water and deep water activities is propelling demand for the global liner hanger systems market during the forecast period. The increase in the use of liner hanger systems to reduce total rig in a well lead to improved productivity and enhance the oil recovery from the reserve. These are some of the major factors propelling demand for the global linear hanger systems market in the coming years. However, uncertainty in crude oil price across the globe will also affect investment in the gas and oil drilling projects and this in turn affect the overall growth of the global linear hanger system market in the coming years. From the geographical point of view, North America is likely to dominate the global liner hanger system market. This is due to growing drilling activities in the North America region is likely to boost growth of this market in the coming years. The market for unconventional fuel and drilling activities is expanding in this region and this is likely to fuel growth of this market in the coming years. The average active rig count is expected to increase in the coming years and this is likely to boost growth of the global liner hanger systems market in the foreseeable future. As the United States is planning to become oil exporter and demand for liner hanger will continue to increase in coming years. This section of the report highlights key players operating in the global liner hanger systems market. Some of the players operating in the liner hanger systems market are Allomon Tool Company Inc., Weatherford.Baker Hughes Incorporated., NCS Multistage, LLC. Schlumberger Limited., and Sonovex Technology. The manufacturers are highly focused towards research and development activities in order to strengthen their presence across the globe.